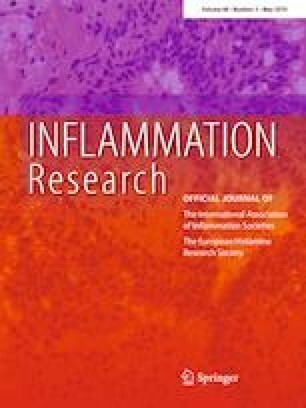 To evaluate the potency of RORγt blockade for treatment of Inflammatory Bowel Disease (IBD), the efficacy of TAK-828F, a novel RORγt inverse agonist, in anti-TNF-α mAb non-responsive mouse colitis model and effect of TAK-828F on IL-17 production in peripheral mononuclear blood cells (PBMCs) of anti-TNF-α naive and treatment-failure patients of IBD was investigated. The colitis model showed Th17-dependent pathogenicity and response to anti-IL-12/23p40 monoclonal antibody (mAb), but no response to anti-TNF-α mAb. In the model, TAK-828F, at oral dosages of 1 and 3 mg/kg, inhibited progression of colitis and reduced the immune reaction that characterize Th17 cells. Anti-IL-17A mAb showed neither efficacy nor change in the T cell population and colonic gene expression in the model. In the normal mouse, a 4-week treatment of TAK-828F at 30 mg/kg did not severely reduce lymphocyte cell counts in peripheral and intestinal mucosa, which was observed in RORγ−/− mice. TAK-828F strongly inhibited IL-17 gene expression with IC50 values from 21.4 to 34.4 nmol/L in PBMCs from anti-TNF mAb naive and treatment-failure patients of IBD. These results indicate that RORγt blockade would provide an effective approach for treating refractory patients with IBD by blocking IL-23/Th17 pathway. The authors would like to thank the following employees of Takeda Pharmaceutical Company Limited, Yasushi Fujitani, Chihiro Akimoto, Keiko Koga and Keiko Ishigami, Asako Tagashira, Hikaru Saitou for their contribution in the pharmacological studies and discussion, Naoya Nishimura for breeding RORγt KO mice and Tsuneo Oda, Atsuko Ochida, Mitsunori Kono, Junya Shirai and Satoshi Yamamoto for contributing in compound synthesis.